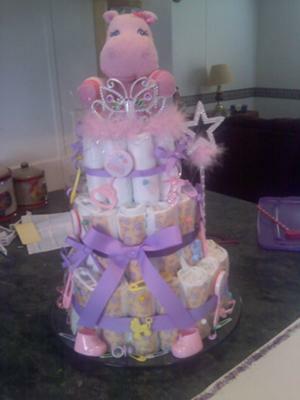 Lindsey shared her cute princess diaper cake with us and paid it forward to all of those who are looking for some diaper cake inspiration. Thank you so much Lindsey! 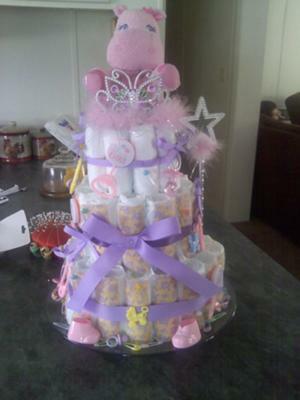 Click here to submit your own cute diaper cake! I used size 3 and size 1 diapers, got most of the decorations from the dollar store and Walmart, real easy to make, and cheap!